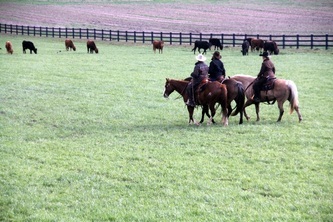 Promote, preserve and perpetuate the versatility ranch horse of any breed. Raise public awareness and appreciation for the versatility of the ranch horse and to foster the preservation and enhancement of western culture and heritage. Foster education, cooperation, and competition among members utilizing the goals and principals of the 501(c)(3) National Versatility Ranch Horse Association (NVRHA) through NVRHA clinic/schooling competitions and other ranch horse events.